GAINESVILLE, Fla. – “Free Fridays” hosts the popular local band Idylwild Friday, July 8. Idylwild’s repertoire is about half originals and half covers. In addition to their originals, they perform songs by Dave Mason, Tedeschi Trucks Band, Bill Withers, Fleetwood Mac, Etta James, Wings and Chuck Prophet. The current lineup of Idylwild has been active for two years. Band members include Heather Hall (vocals), Chuck Gattone (keyboards/vocals), Dana Rasmussen (guitars/vocals), David McMahon (bass), Brandt Frenchman (drums) and Arturo Escamilla (percussion). Drummer Brandt Frenchman has recorded and toured with artists such as Sister Hazel, Liquid Vinyl, Wildsun, King Payne and Fall of Envy. Bassist David McMahon was a founding member of Big White Undies, and later had national success with the band My Friend Steve. Percussionist Arturo Escamilla has played with many local bands including Los Panas 352, Parcel of Rogues and others. Vocalist Heather Hall writes her own original compositions, and pens most of the lyrics for the band’s original music, usually written as a group effort by guitarist Dana Rasmussen, keyboardist Chuck Gattone, Heather Hall and David McMahon. Family and career are a big focus of the band. The band boasts, collectively, 11 children, two college professors, an architect, an acupuncturist, an environmental consultant and an entrepreneur. Most of the last year was spent recording a demo of all original songs that will be released at the “Free Fridays” show. The 2016 “Free Fridays” concert series is produced by the City of Gainesville Parks, Recreation and Cultural Affairs Department, and funded in part by grants from Visit Gainesville and Culture Builds Florida. 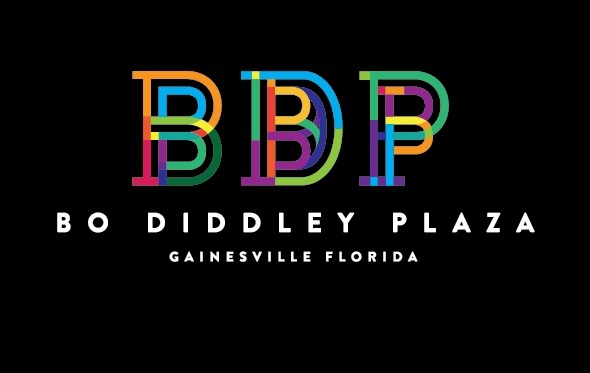 The concerts play each Friday night this year from Friday, May 6 through Friday, Oct. 21 from 8-10 p.m. at the Bo Diddley Plaza, at 111 E. University Ave. in downtown Gainesville. To view the complete “Free Fridays” 2016 schedule, please visit the Cultural Affairs Division website at www.gvlculturalaffairs.org. For more information or to schedule an interview, please contact David Ballard at 352-393-8746.